After a period of soft launch with limited availability in certain areas of the world, Bandai Namco announced today that the mobile game based on the characters of Goscinny and Uderzo is available worldwide in app stores for Android and iOS. 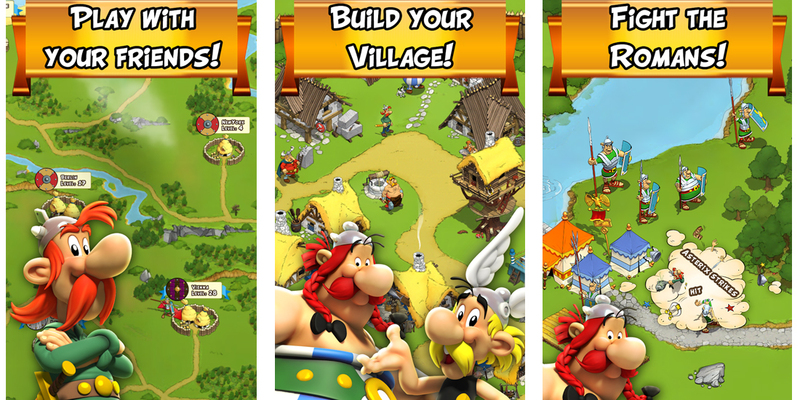 In fact, Asterix and Friends was developed by Bandai Namco in collaboration with Albert-René Editions publishing house, founded by Uderzo and current holder of the franchise rights and whose video game genre could well be free-to-play management. The game is similar to Clash of Clans and many other titles, but we can not ignore reality: the real star here is the scenario, along with such well known characters in general. Our goal, as users, is to create the ultimate Gallic village, and we will draw to the construction of different types of buildings, and to make them even stronger through the various improvements. This will attract the most famous comic characters in the series, including Obelix, Abraracourcix, Panoramix and many other names accompanied by the termination -ix. In addition, several events will be organized during the game, to make it more interesting and entertaining, as the Fog Event to be held around Halloween, or Winter Event which will last from November to January. During these events, players can have fun with additional content such as recipes, temporary objects and characters, new objectives and missions. In short, for the type of content it may not be much, but the performance is above average; in particular, the graphics have a very clean and detailed production, in perfect harmony with the comics and cartoons. Follows the trend of other titles and although free-to-play, makes extensive use of purchases in-app.